Prime News, International Sport, Football, Abu Dhabi (UAE), February 2:- World Cup 2022 hosts Qatar won their first ever Asian Cup with a 3-1 victory over four-time winners Japan at the Zayed Sports City Stadium in Abu Dhabi. 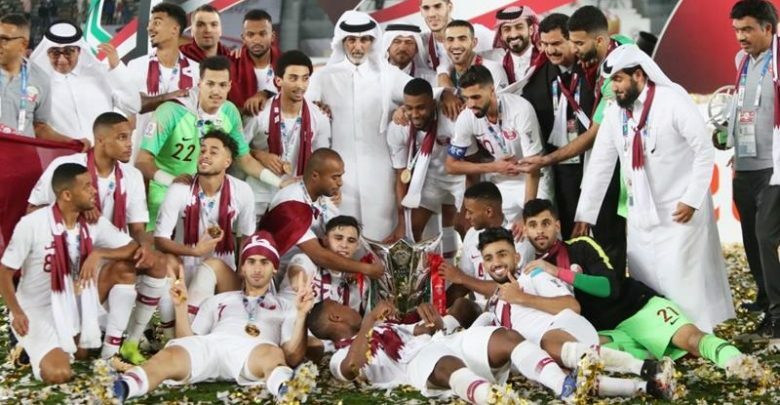 The victory was celebrated wildly by thousands of Omanis who had turned out to support Qatar in the absence of their own fans, who were unable to travel because of a deep political rift with the United Arab Emirates. Qatar’s Spanish coach Felix Sanchez said the tournament win was a “huge result” for the team. “Today we made history for our country, so we need to be very proud about our achievement,” he said after the match.